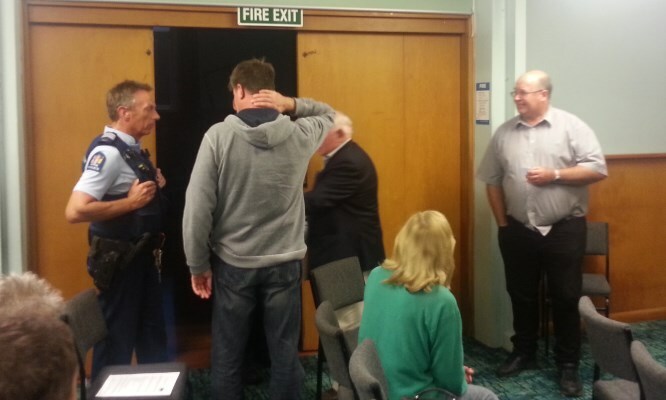 Tonight was our special public meeting to discuss the possible formation of a community patrol in West Melton. A light turnout of committee members this evening, but with plenty on the agenda, Jeff was eager to get the meeting started. The following summarises the topics discussed during the evening. Peter Stafford has now relocated the water fountain from its former home at the intersection of West Melton and Weedons Ross Roads. Repairs to the fountain are now under-way. The WMRA agreed to extend funding of this project to $2,000 (ex GST). Bruce announced the Selwyn District Council’s Neighbours Week for 2014, being the week of October 24. He encouraged others to set up their own street parties and similar events, reiterating that the council will fund such events, usually to the tune of $100 for food and drink etc. The process this year is to run the event, then apply for remittance using receipts afterwards. It’s a good idea to seek approval for your event first – community@selwyn.govt.nz. Bruce wanted to remind people that the NZ Defence Force is entering a training phase. While based in Burnham, the army will be making greater use of the West Melton Army Rifle Range during this period. The NZ Army has been running regular advertisements through local sources to raise awareness of this. Bruce reiterated how large ammunitions now tested and trained in Tekapo instead of West Melton. Tonight’s WMRA meeting was well attended, including several welcome guests from the community. The proposed $84k lighting upgrade to West Melton street lights was discussed tonight. The major causes of light pollution in the area were debated along with possible steps to reduce these effects. The committee resolved to invite representatives of the West Melton Observatory to the next meeting. Tim presented the results of the online poll regarding the community patrol. The majority of the community had backed the initiative with 108 votes for, and 5 votes against. 61 people indicated they could volunteer 4 hours per month to the cause. Local Constable, Chris Caldwell gave some good background to the discussion that followed, referencing the trends and patterns that he had observed in his six years experience in the district. He suggested the WMRA consider joining with the Rolleston patrol for the mutual benefit of the area. Chris cautioned that crime had not actually ‘set-in’ in the area and offered to provide the WMRA with full statistics to support this. Watch for an article by Chris on this topic in an West Melton News soon. The Residents Association will advertise a public forum in November to discuss the Community Patrols initiative further. Another well attended West Melton Residents Association meeting at the Community Centre. Guest speakers included Murray England, Water Assets Manager (5 Waters) at the Selwyn District Council and Nick Stoneman, a member of the Hornby Community Patrol and Community Patrols New Zealand. Murray gave a comprehensive presentation, beginning with the history of the West Melton town water supply, then an overview of the current problems and the SDC’s plan to resolve these. Murray explained how each of the 3 township bores had sequentially failed water quality tests and the steps SDC had made along the way to keep the potable water supply safe. Currently, the Royston Common bore is offline, due to a recent change in water quality, where tests indicated the presence of ecoli following heavy rain. The two bores from Preston Downs are currently ‘carrying the town’.